← UGR Symposium 5/18 — Volunteers still needed! 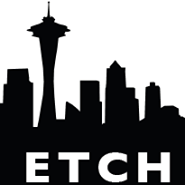 Education Transforming Community Health (ETCH) is accepting officer applications! Weekly sessions offer volunteers a great opportunity to connect with members of homeless communities while expanding your knowledge of preventative care, health systems, and social justice. We ask that volunteers participate in at least one session per month for at least 6 months. As an officer, you can expect to gain an even deeper understanding of the health needs and challenges of an underserved community in Seattle that often feels voiceless. Applications close May 6th at 11:59 pm. Experience interacting with the homeless community is highly recommended. Priority is also given to those that will be students next year, however we still encourage all to apply. If you are an alumni, you can still volunteer and stay connected through ETCH that way if you so please. You are highly encouraged to contact the current officer if you are interested in their position! This entry was posted in Physician Assistant, Predental, Premedical, Prenursing, Prepharmacy, Public Health, Volunteer Opportunities/Service. Bookmark the permalink.